all Alabamians have great pride in. Our state is "The Heart of Dixie,"
a heritage passed from kin to kin." We've been wanting to make our recipe for Alabama for a few weeks now, but we had to wait for a Sunday. 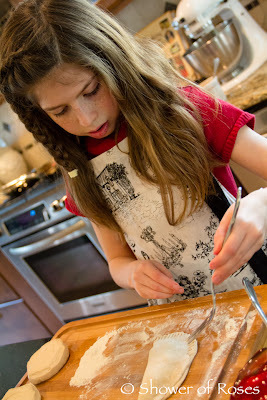 (Since it is Lent and we gave up sweets this year, and since the girls were set on making this recipe!) The last couple Sundays didn't work out for one reason or another, but this afternoon (on Laetare Sunday!) we finally had the time to spend in the kitchen frying pies inspired by a quote from The United States Cookbook. 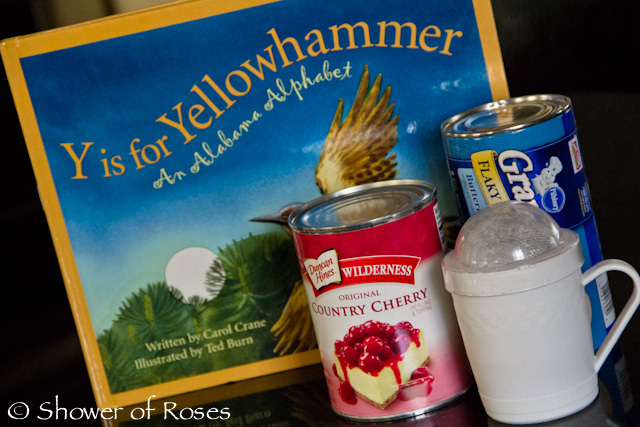 The girls had previously read Y is for Yellowhammer: An Alabama Alphabet and then completed their Notebook Pages. 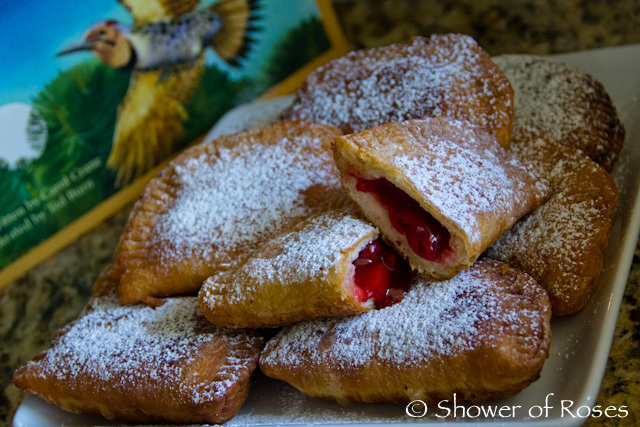 "Fried pies are a specialty of Alabama. 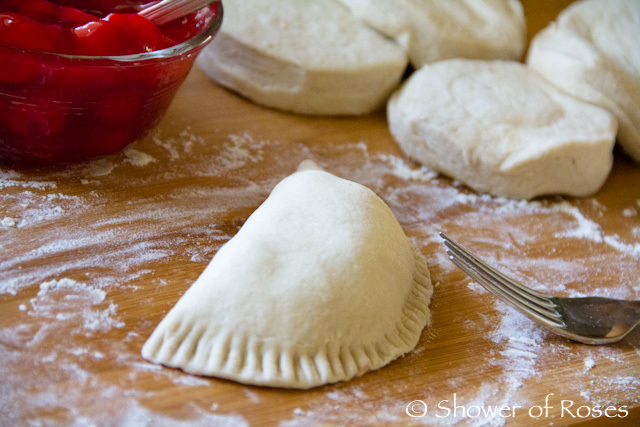 Fried pies are made by filling dough, often with peaches or peach butter, then folding the dough into a half-moon shape, and frying it in fat." 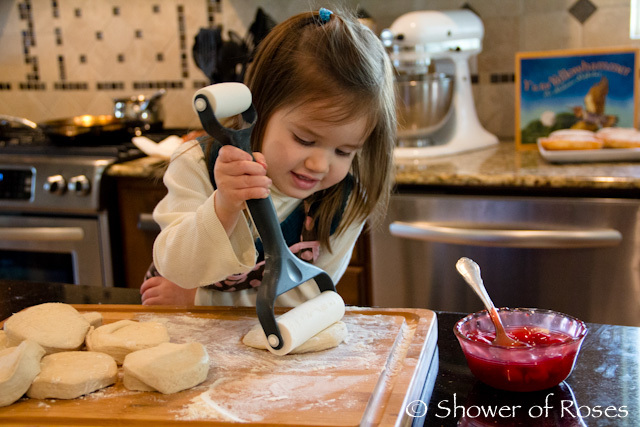 On a floured surface, roll each biscuit into a thin circle. Place one spoonful of pie filling into middle. Fold over one part of the circle onto the filling, making a semi-circle. 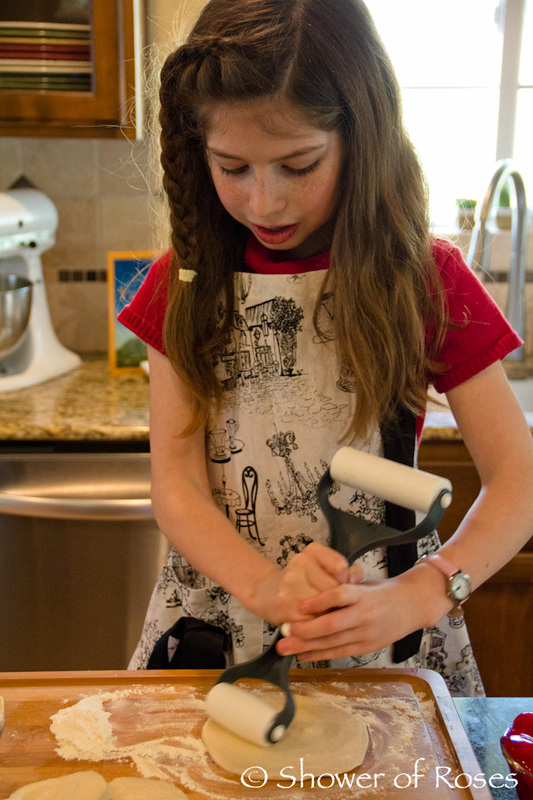 Press down to seal the edges using a fork. Heat about 1/2" of oil in a frying pan. 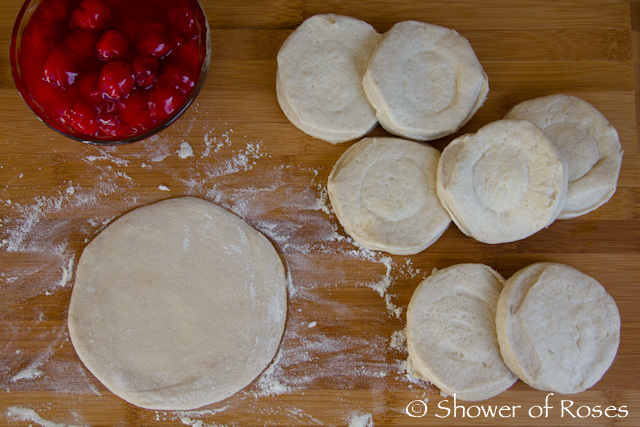 Carefully, fry the prepared pies for 2-3 mins on each side over medium-low heat until golden brown. Note: Be sure that the oil is over medium-low and not high, or the pies might burn on the outside and still be gooey on the inside! Ask us how we know... ;) After a couple attempts (and turning the heat down) we finally were successful! 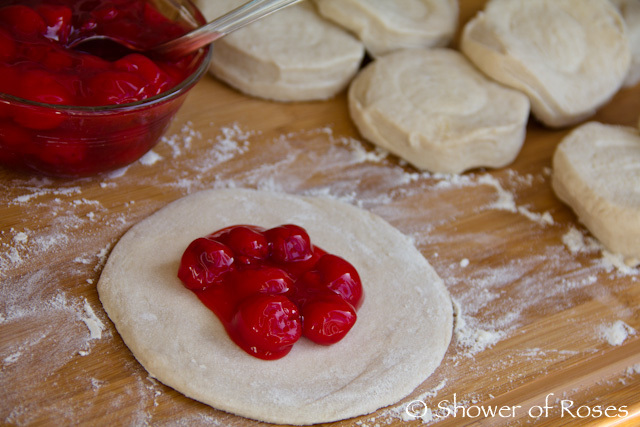 Sprinkle the warm pies with powdered sugar. Always a blessing to get a glimpse into your beautiful home life. Those pies look delicious, and thank you for all the time-intensive links. I bet they would be good to bake too! 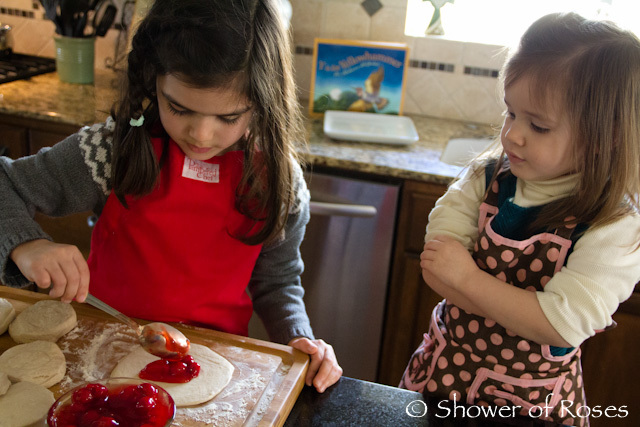 The girls actually made Cherry Turnovers (baked) for Virginia which were really really good! However, whenever I think Louisiana I think Beignets (but that's probably only because we made Beignets when we studied Louisiana! lol) and they are fried too. I think I need to get the girls to branch out a little more from all the desserts... They are way too tempting! 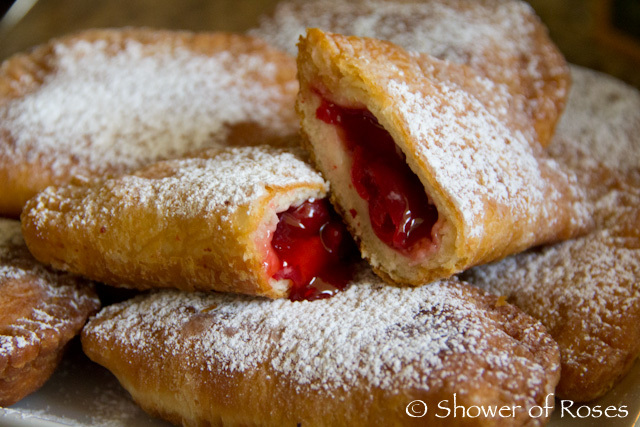 When I think of beignets I think of New Orleans, it's one of their trademark foods. So what would be some other foods specific to the rest of Louisiana, or in your area? A friend in Louisiana suggest Beignets, and I don't think she is in New Orleans. It would be so fun to tour around the US and visit all these states! We live about 3.5 hours away from New Orleans. In our area, some well known main dish foods include things like seafood or chicken and sausage gumbo, shrimp or crawfish etouffee, seafood fettuccine, fried or grilled fish or shrimp, red beans and rice, seafood bisque, crawfish cornbread, and boiled crabs or crawfish. For desserts: bread pudding, pecan pie, pecan pralines, fig cake, king cake, cobblers, banana foster. Sections in Louisiana are known more for different types of foods. 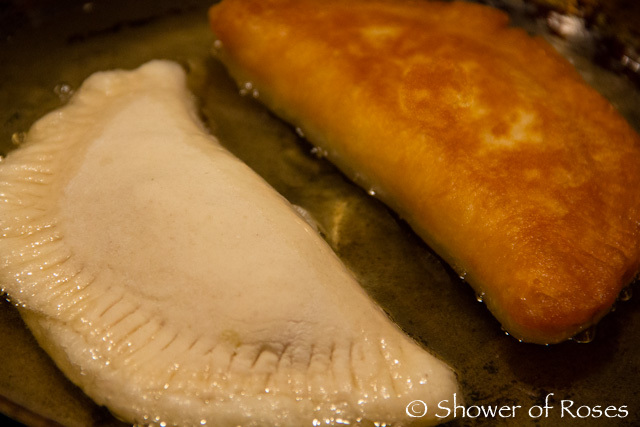 Like New Orleans is known more for their jambalaya and beignets and Natchitoches is well known for their meat pies. As I'm sure you know we don't eat these foods often. Many of them are very rich or expensive because of the cost of seafood. I hope I was helpful.